At first glance a young fox being tracked down by a man armed with specialist equipment could be a scene from a children's film - with the fox as the hero, of course. But in fact far from being the bad guy, this wildlife rescue volunteer was trying to help a cub after it wandered into a family's living room. 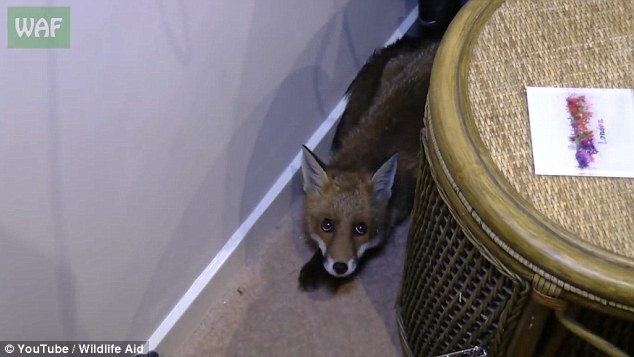 Simon from the Wildlife Aid Foundation was called out late at night after an anxious couple found the creature hiding in their house and were too scared to approach it themselves. Speaking to the animal with friendly and calm tones, Simon closes the living room door to stop it dashing out and approaches it with his specialist equipment - a rod with a noose on the end. 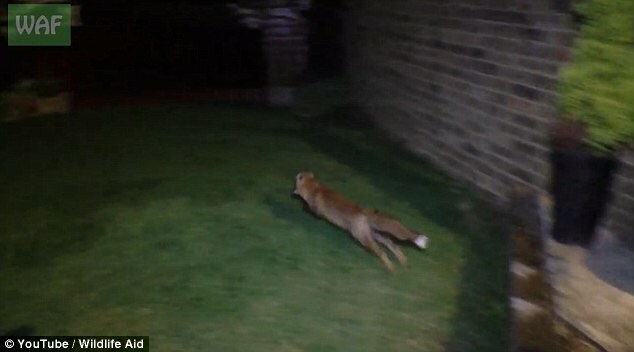 But despite its reluctance to enter the the box the fox also seems unwilling to depart as Simon tries to set it free in the couple's garden. 'Look, that's the wild and that's where you live,' Simon tells the animal. But once it's out it dashes hell for leather away from the house and into the darkness, free once again. Wildlife Aid Foundation's aim is to return every animal that is capable of surviving back to its natural environment. 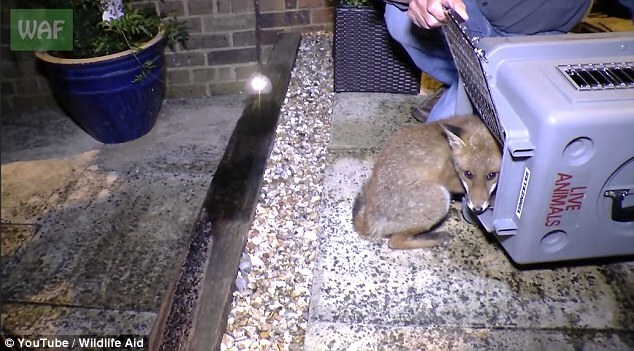 Responses to "Rescue and Release: Fox cub is rescued from a family’s living room"